handwritten message to go inside your card (only applicable if you have chosen to have your card sent direct to the recipient. 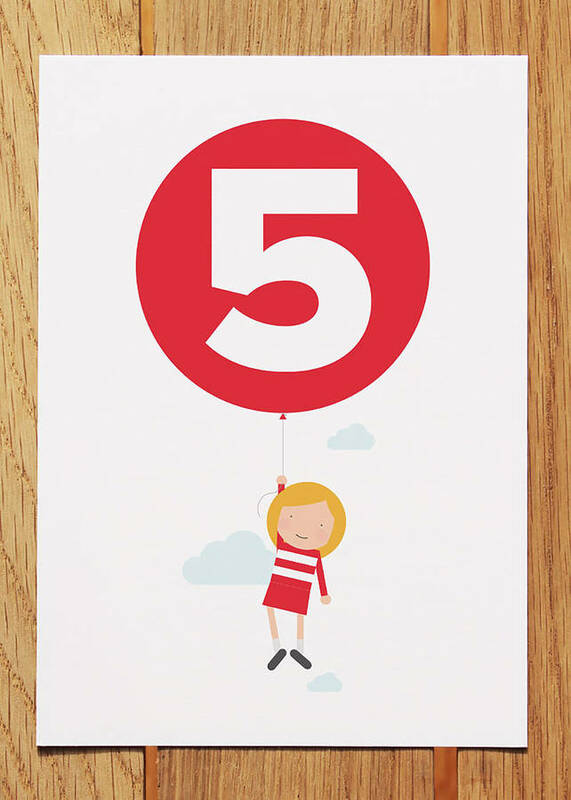 New from Showler and Showler is our 5 today girl with balloon birthday card. Here's the perfect card to celebrate your little girl's fifth birthday. The inside of the card is coloured red and left blank for your own message. All Showler and Showler cards come packaged in a clear sleeve with a white envelope. 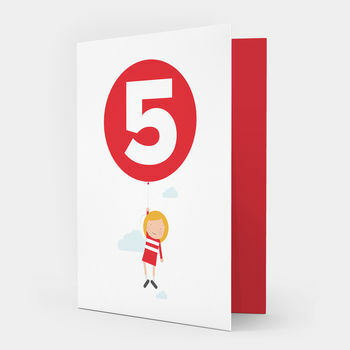 All cards are lovingly printed in the United Kingdom. 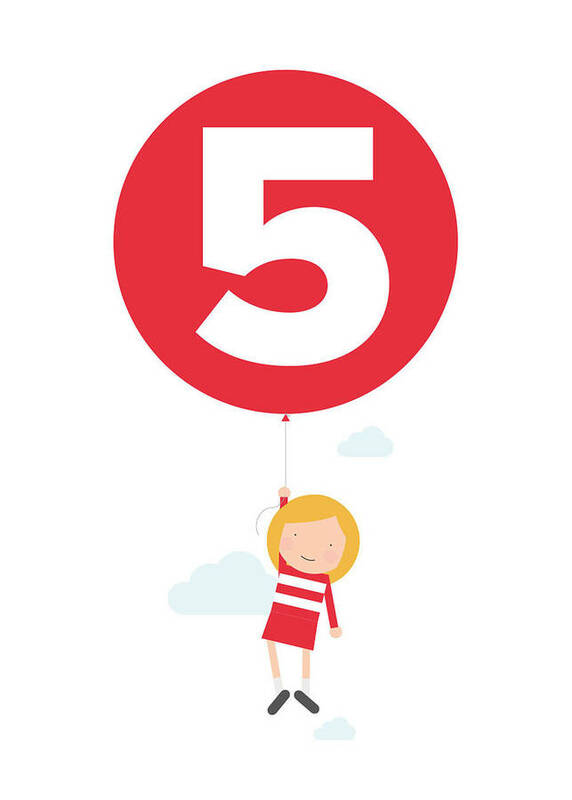 Our 5 today girl with balloon card is also available for boys too and ages 1, 2, 3 and 4. Personalised prints in the range are also available. Printed on 325gsm board for a beautiful contemporary finish. This product is dispatched to you by Showler and Showler.